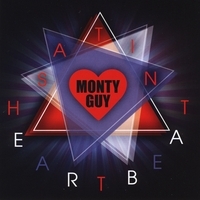 http://itunes.apple.com/us/artist/monty-guy/id79298568 https://itunes.apple.com/us/artist/monty-guy/id4390452 For MP3 Downloads from the original MONTY GUY Easy Listening Orchestral Pop music catalog. Features all tracks from: FROZEN FIRE, EUPHORIA, EXOTERIC LOVE, INFINITE EMBRACE, ABOVE THE CLOUDS, and COSMIC BLISS. For MP3 Downloads and great discounts on CDs shipped to you. This is the new google + link intended to enhance our communications system with our fans and supporters. https://www.facebook.com/364614303600178 Thanks to our fans and supporters, we have just created the new MONTY GUY MusicWebStore with CDBaby at Facebook. At the request of fans in our growing legion of supporters, this site upgrade is designed for ease of access to streams, downloads, mp3, CD, and vinyl media featuring content from my growing music catalog. Also, the site will provide general GRAMMY® news updates and goings on in the music artform world. You are invited to give us your always supportive feedback at www.montyguy.com. Thanks! MONTY GUY MusicWebStore with CDBaby at Facebook link: https://www.facebook.com/364614303600178 MP3 downloads available. MONTY GUY music catalog featuring all CDs (or individual tracks) available for review and MP3 download. http://www.myspace.com/montyguy/radio. SATIN HEARTBEAT. THE new CD in the Easy Listening Orchestral Pop genre and music styling of MONTY GUY. Features twelve adventurous journeys in song; with six vocals, and six instrumentals. Introducing the song "Tango Of Love"; supported with "No Regrets (No Se Arrepiente)". Created by using the Dynamic Sound Engineering Recording (DSER) process for enhanced listening pleasure. Received Critics Comment of "New Romantic AC Sound". Currently featuring 74 songs (vocals and instrumentals) from The MONTY GUY MUSIC song catalog. Official website address; https://m.YouTube.com/channel/UCZE_KYQ6d6J_dFbuo_gB7Bg Quick link: #MontyGuy - YouTube Easy click subscription invitation extended to all Fans, Supporters, and Friends. 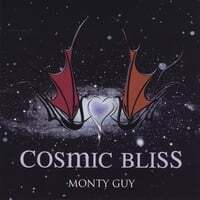 Monty Guy music catalog available in download and physical CD formats. Monty Guy feature article celebrating #1Pop Chart listing for 'The Beautiful Magic Of You II'; in CD "Intergalactic Tour and Showtime Review". A 59th GRAMMY® Awards participant. Feature article commemorating Monty Guy's first #1 Pop Chart song listing 'What You Do To Me'; in the CD "Intergalactic Tour and Showtime Review". A 59th GRAMMY® Awards participant. Feature article celebrating Monty Guy's first #1 Pop Chart song listing for 'What You Do To Me'; in CD "Intergalactic Tour and Showtime Review". A 58th GRAMMY® Awards participant. Revernation's Monty Guy playlist selections.